Basics win fights. With that mantra in mind let’s discuss one of the most fundamental bjj submissions: the armlock from mount (ending with you and your opponent having your backs on the floor and bellies to the sky). 1 – Hips close to his shoulder. You don’t want your hips to be so far away from his body that your opponent can easily escape his elbow down to the floor. 2 – Knees pinching the arm. A tight pinching reduces the strength and mobility of his arm limiting escape options. 3 – Thumb pointing to the ceiling. This ensures that the alignment of his elbow is correct and you won’t be wasting energy bending his arm the wrong way. Following these 3 guidelines will help ensure the correct application of the armlock and subsequently earn you the tap. There are of course are many variations of the armlock and in most cases these rules will apply (there are always exceptions to rules). Learn them , drill them, perfect them! Want to learn a few more armlock tricks? Check out our platinum member area for exclusive instructional videos! Forget the work-life-training dynamic, let’s talk about something much more important: the balance between mat time and conditioning. One of the questions most frequently asked by students is about how schedule one’s training and conditioning for maximum benefit; and then how to fit said schedule in with work, family, social events and everything else life throws your way. Balancing mat time with your conditioning time can be a very real problem. There are only so many in a day, a week, a month and doing more of one thing almost always means doing less of something else. If you have 3 free hours a day, and you want to be the best grappler you can be, then the question arises whether you should spend all 3 hours on the mat or spend at least some of those hours on conditioning. Every practitioner struggles with this: it’s a dilemma for the 25 year old professional mixed martial arts fighter who has eight hours a day to train as well as for the 45 year old father of three with his own accountanting firm who has but a few times a week to train. The pro fighter worries about over training and getting injured while the father of three worries that his family will forget his name if he disappears for yet another evening of training. To get closer to an answer you need to first determine how much time you do have to alot to training each week. If you can train a lot then you also need to determine if you have the ability to recover from all that training. If you grapple more you will get better. If you do more conditioning you will get better. But if you do too much overall then you get sick or injured. Let’s work with some average numbers. 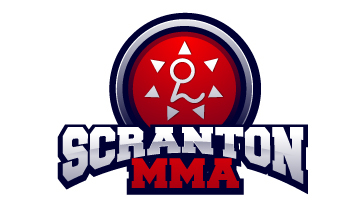 For the “layman” this number will be low 3 or 4 hours a week, for serious amateurs with a lot of extra time on their hands this might be 8 to 10 hours a week, and for professional fighters it will be much higher, sometimes 40 hours per week. There are no cut and dried answers for this topic, so here are some thoughts and guidelines you might want to consider while planning your weekly routine. •If your goal is primarily the development of skill and technique for self defense then do more grappling and less conditioning. Mat time is usually the best way to improve performance especially early on. •If you have dual goals of skill development AND improved fitness then allocate about 25% of your available training time to conditioning and the rest to grappling. •Professional fighters have had great results only doing 2 to 3 pure conditioning sessions per week. They do a lot of additional conditioning, but it comes from sports-specific activities like grappling drills, hitting thai pads, wrestling takedown drills, sparring, etc. •If you’re already doing alot of grappling then 3 hard conditioning sessions per week are plenty. •One way to prevent overtraining is to use periodization, in which you vary the quantity and intensity of your training over the course of weeks and months, at times training at maximum intensity at other times taking it easy. •If you despise any form of conditioning; running, CrossFit, etc then relax – it’s OK to do more grappling and less conditioning; just be sure to push yourself during your grappling workouts. •For the old head grappler at least one CrossFit training session per week is highly suggested. This session can be as short as 30 minutes, if you use a lot of multi-joint movements like squats, pullups, lunges, presses, etc. What ‘old’ is of course is debatable. Let’s just say a grappler is past physical prime by age 35 to 40. Proper conditioning slows the loss of muscle mass and injury-proofs your body, both of which will really help your grappling. •Finally remember that any conditioning is better than no conditioning. If you hate running, hate weightlifting and hate pushups but love swimming, then do swimming. It may or may not be the perfect complement for your grappling, but doing something you enjoy is better than finding excuses not to do the hypothetically “perfect” conditioning.